Are your drawings sometimes stiff or lifeless? Do you struggle to quickly capture moving bodies, or convey the illusion of motion in your drawings? Do you want to be able to draw quickly, confidently, and dynamically in a fun, fast, and fluid way? 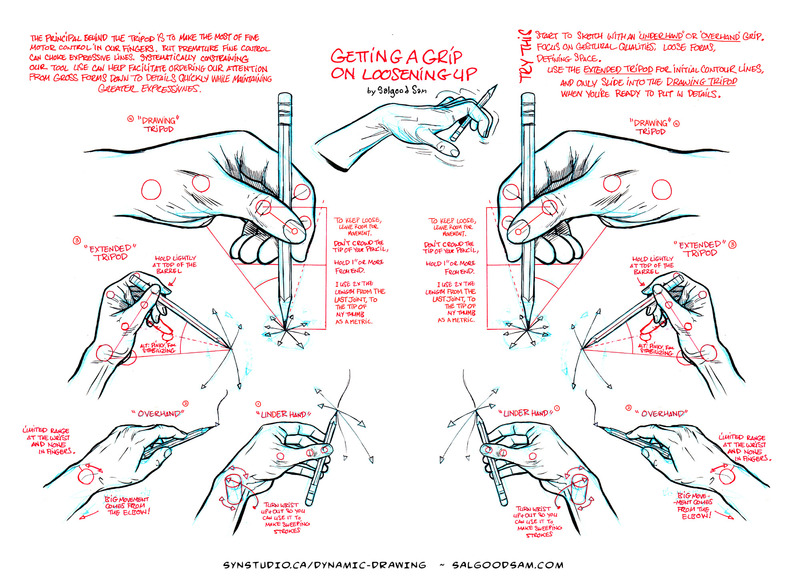 Or just generally gain greater control over your drawing tools? Oh yes, I cringed when I realized I needed to write one of those cheesy classic series of rhetorical questions to help promote my course. But those are the common, near universal problems most artists have with their work. I can’t guarantee your personal outcome, but In Dynamic Drawing with Salgood Sam you will learn techniques to train your hand and eye for greater mastery over your tools. And study the body in motion. Dynamic Drawing is an intensive 10 class developmental program to show you how to become a quicker, more expressive and confident artist. I emphasis developmental as I think the practices and experiences it offers can benefit both novice and experienced artists. The course has a strong emphasis on refining technique and intense frequent practice. It’s very pragmatic, building the foundations that lead to drawing with confidence, quickly and dynamically. If you attend, you will draw better. Ideal if you are interested in animation, comics, illustration, concept art or fine art. Or, if you just want to have fun while dramatically improving your drawing ability! And, we can promise you it won’t be dull. Along with a series of more methodical practice exercises, workshops on the mechanics of perspective and composition, and a lot of one on one mentorship from your instructor Salgood Sam. Many of the classes will involve novel life study subjects. Novel first in that they will not be stationary, holding a pose for you much of the time. From slow motion theatrical combat performances, to a field trip to a dance studio! A live musical performance? A hands on introduction to the ancient art of Tai Chi, followed by a dynamic drawing session with the master and his Jian [sword]! I think I can confidently brag, you have never taken an art class quite like it. There are four core areas of study over the course. The physicality of drawing, from hand-eye coordination to how we use our tools, what tools and when and why. 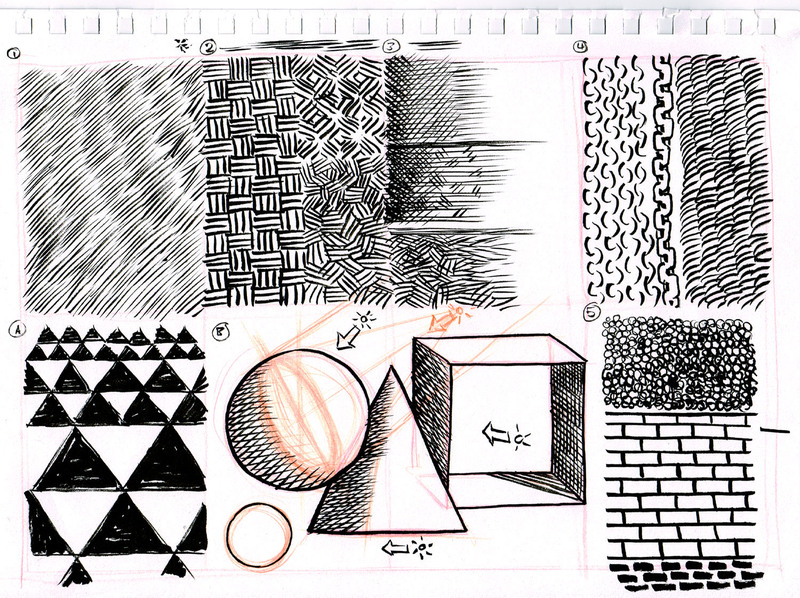 The bulk of hands on practice in Dynamic Drawing is geared to emphasizing this aspect throughout the entire course. One way you might divide the task of drawing is physical/mental. I think as an artist and teacher this is a common dualistic model to fall back on. But the truth is your hand eye coordination is made up of both physical muscle memory, and experience lending to greater refinement in methodology, tool use and observation. And facility in either is improved by the same in the other. 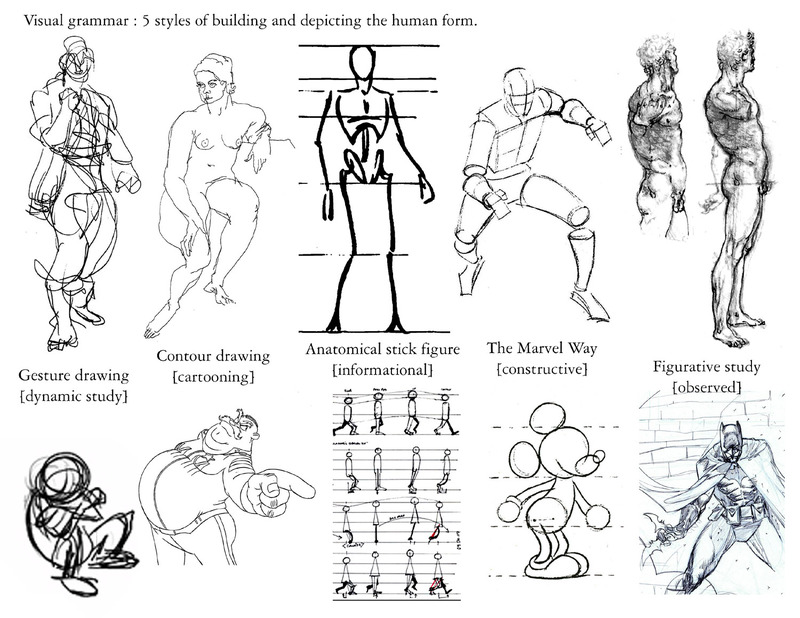 Achieving a greater understanding of anatomy by becoming aware of how our own body works and moves, will help us to capture life-like and dynamic renderings of it on the page. So beyond just refining technique, how we use our tools, including our own drawing hands, arms, the entire body. We make the case for engaging in physical activities with the mindset of an artist studying. To that end along with heavy use of Dynamic moving live models, we also include in the course a basic introduction to Tia Chi, followed by an opportunity to draw the instructor performing with his Jian. And in interpreting it, thinking about and having a clear idea how you are translating things to the page. Even the question of drawing realistically, or more impressionistic or symbolically. What kind of visual grammar will you use and when? Often miss framed by students as the “question of style”. Like great writing great drawing comes from being a heavy “reader” of art and the world around you. Study art, and actively observe and be mindful of how things appear to you. Seeking out novel sights, and inform your eye. Read about nature, architecture, the everyday machines you see around you, to inform your mind’s eye of the things laying beneath the surface, as you would in understanding the human body by studying anatomy. 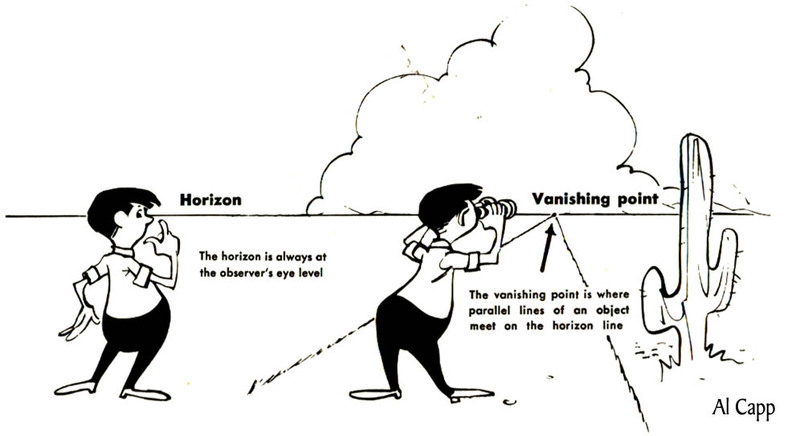 A skill that can always benefit from refinement, be it deployed in imagining or observing live. Learning to actively in the moment observe a live subject and visualize what we are looking at in our mind, long enough to allow us to render it on the page. And using long-term visual recall, to draw from memory. 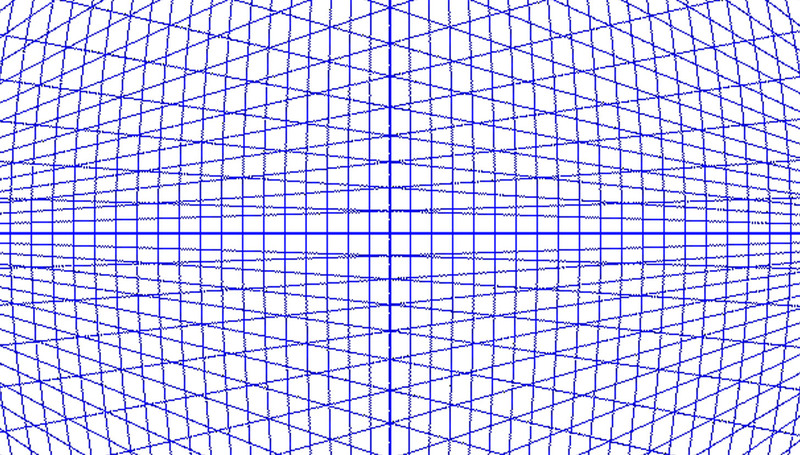 And ultimately how to imagine things using the same tools. Learning how to really see, and be mindful of looking rather than glancing out of habit and operating under assumptions. You will be amazed if you’ve not already studied this aspect of drawing, how big an impact it can make. Hierarchy. Which elements of an object do we select to draw first, or at all? How to order the process of studying the subject, drawing it, and when is it done? It’s common for artists to get bogged down in details, it can make everything from the specific proportions of a figure, to the over all composition of the page, get lost and fail to gel due to simply not being prioritized. In order to get to a place of greater spontaneity and facility,–perhaps ironically–it’s often necessary to learn how to impose order, and make intentional choices about what you do when. So we’ll talk about how to use basic Hierarchy in rendering all our compositions.